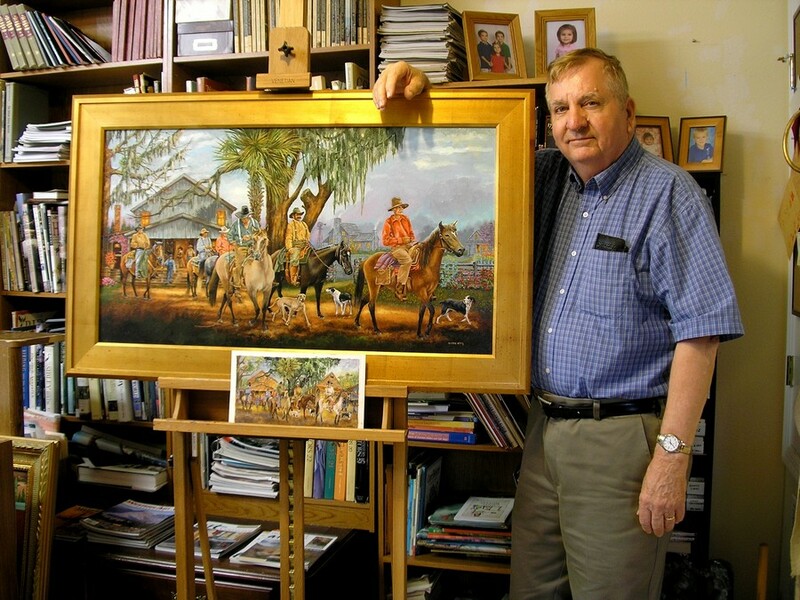 For more than 40 years, Wayne’s celebrated fine art and custom paintings have graced galleries throughout the Southeast. His award-winning creations have enjoyed prominent exhibitions at art shows, while appearing on the State of Florida Challenger license plate, and the Walt Disney World Christmas card, to mention but a few. Wayne captures everything from the extraordinary lifestyle of the Southern cowboy and his cracker horse … to the gentle beckoning of rural landscapes … to the quiet solitude of majestic wildlife … to the slice of everyday people simply enjoying everyday life … to historic scenes from the Civil War … to his newest series taking city scenes back to their early days… all brilliantly painted by a master storyteller in intricate, heartfelt detail. Wayne’s palette is delightfully diverse, as is his soulful range of subject, format and impression. His 2013 Fine Art Collection offers a rich array of work spanning a lifetime that is sure to capture both the heart and imagination of art lovers everywhere. Southerners in particular will find a special connection to the fine art and custom paintings of Wayne Hovis whose roots are solidly planted in the rich soil of the South and reflected throughout his work. Please enjoy this site for a sampling of Wayne’s fine art and custom paintings.